Heated Glove Liners Ver. 2 #WearableWednesday « Adafruit Industries – Makers, hackers, artists, designers and engineers! This is a revised version of my previous project. The construction is simplified, wires are no longer exposed and flexibility is increased. For many people like myself keeping our fingers warm while outside during the winter poses a constant challenge. More acutely for those of us who suffer from Raynaud’s where our body cuts off circulation to the extremities in response to cold exposure. A further complication arises when engaging in an activity such as cycling that requires grasping objects, compressing glove palm insulation reducing its effectiveness. Chemical warmers are bulky, often don’t fit inside regular gloves and may not get heat to the fingers where it is needed. The solution, a pair of thin liners with battery powered heat delivered to all 5 digits that you can slide into your favorite glove! You can choose to have either the front or back of the liner heated. 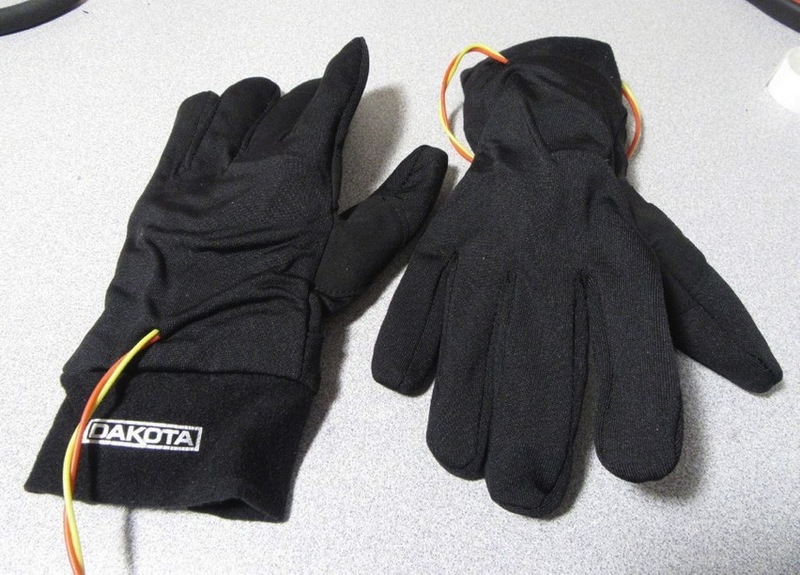 The heat is generated from carbon fiber rope attached a glove liner of your choice.